Go for the Gold in High 5 Casino’s 239th game! Glory on Ice arrives soon! You have trained your whole life for this moment! Now is your chance to go for the gold! The music cues up as you glide across the ice, ready to delight the crowd. Your costume shimmers under the skating rink lights. You can feel victory at your fingertips as you spin and loop with your partner. The flawless performance leads the cheering crowd to their feet. It’s your time to shine in Glory on Ice! Are you ready for first place wins? Comment in the conversation bubble located on the top right corner of your screen and let us know what you think! 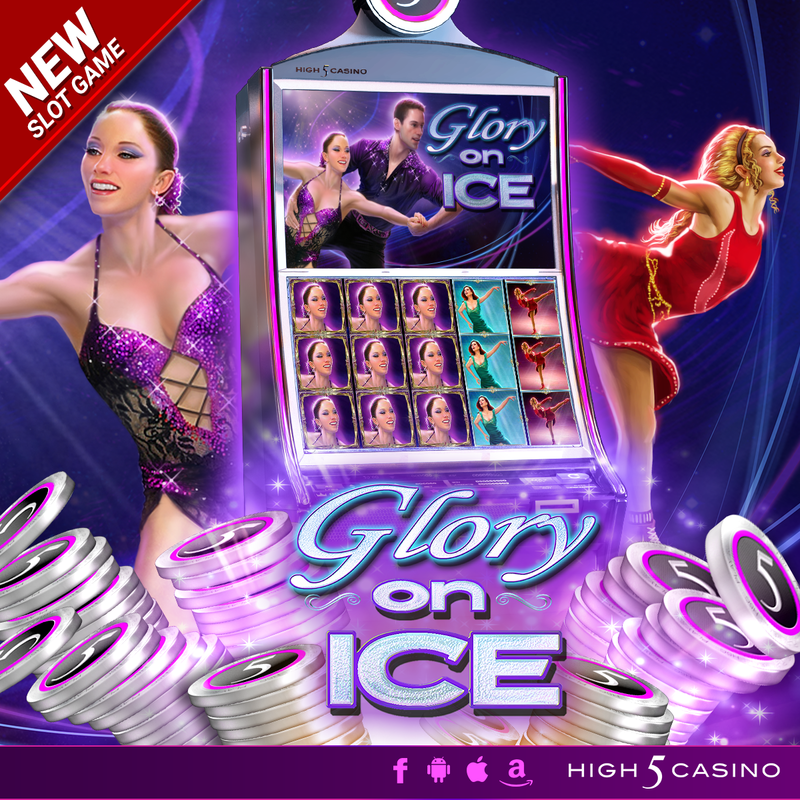 This entry was posted in game preview, Game Release, High 5 Casino, High 5 Games, top games and tagged Android, App Store, Apple, Expanding Wilds, Facebook, Figure Skating, Free Games, game preview, Game Spotlight, Glory on Ice, Google Play Store, H5C, High 5 Casino, High 5 Casino Mobile, High 5 Games, Ice Skates, Ice Skating, iOS, iPad, iPhone, iPhones, mobile gaming, Skate, Skating Rink, Slot Fundamentals, slots, social gaming, Split Symbols, Super Stacks by hoothigh5. Bookmark the permalink.